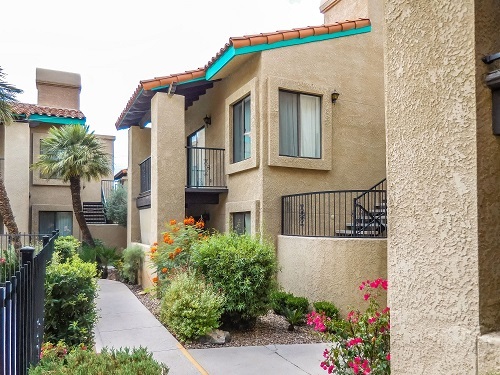 Phoenix, AZ – January 11, 2017 – ABI Multifamily, the Western US's leading multifamily brokerage and advisory services firm, is pleased to announce the $1,500,000 / $46,875 Per Unit sale of the 32-Unit Villa Delano Apartments in Tucson, AZ. The property, originally built in 1980, sits on nearly 1.4-acres of land near the intersection of E Fort Lowell and N Oracle Roads, with 4 total buildings and features all spacious 2-bedroom, 2-bath units with a weighted average size close to 900 square feet. Unit features include private balconies, fireplaces, vaulted ceilings and skylights (select units). "The Buyer was in search of a stable asset with upside potential," states Lance Parsons, Senior Vice President at ABI, who co-represented the Buyer and Seller with Ryan Kippes, Vice President at ABI. "This pride of ownership, one owner property is located in the middle of all the major economic development occurring in the Central Tucson/University Submarket, which includes: Comcast's new 1,100 person call center to Caterpillar's new Downtown Regional Headquarters to World View's Space Port project. In addition to tremendous economic activity, the property features all large 2-bedroom units which is a highly sought after unit type for both renters and investors." The Buyer in this transaction is a private individual based in Colorado. The Seller in this transaction is Tucson-based Vasquez Construction Company. The ABI Multifamily brokerage team of Lance Parsons and Ryan Kippes represented the Buyer and Seller in this transaction.